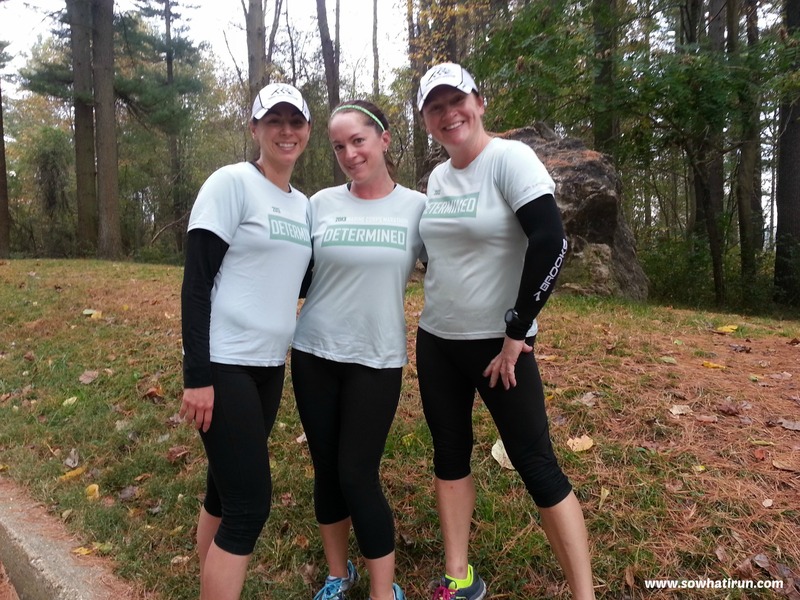 MCM Training – This is it! (Last long run) | So What? I run. Well this is it. On so many levels, this is it. Saturday was our last long run before the marathon. I typically write about my long runs within 24 hours, but I was also celebrating my 40th birthday this weekend. As of yesterday, I am officially in a new age bracket. Everything I do this week will be a first in my 40th decade. First track workout, first tempo run, first personal training session, first taper (which I’ve been doing since I was 39), and first marathon in a new age bracket. While I’m a little freaked out about 40, I’m actually embracing it too. I’m just not liking the whole “your body falls apart at 40” thing. But anyway, I digress…running…let’s get back to running. Saturday’s long run was beautiful. We were supposed to run 8 – 10, but cut it short when we hit 7. We didn’t cut it short because there was anything wrong, but because I just didn’t feel like running to the water stop and back. We all felt great and for me, it was important to end it on a high-note. God forbid if we kept going and ended up tweaking something or hitting an unusual wall the week before the marathon. Talk about crushing your confidence. Nope, we felt great and left it at that. But now the ugly taper monster has kicked in. As Kendra said “taper, good for the body, bad for the mind.” We’re at the stage where we are questioning our training. Did we run enough? What didn’t we do? Are we ready? My calf twinged! My back! My hip! What’s with my toe?? Yes, all the little aches and pains of our bodies recovering and the mental monster of questioning whether or not we’ve trained appropriately has set in. Damn you taper! As I told my friend to “trust the training” I was thinking to myself, did we do enough? I reflected back on all we’ve done, I see that yes, we did. I need to trust the training. We are ready. We are determined and we are oh so ready! 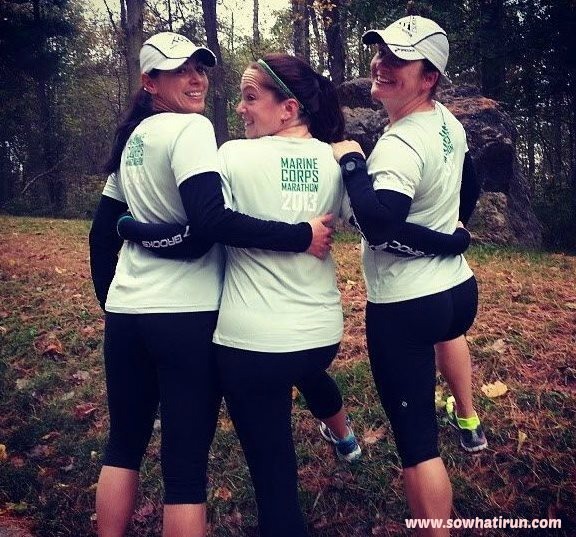 This entry was posted in Marathon Training and tagged Marathon Running, marine corps marathon training, MCM Training, Road Running, Running, Sports, Training by SoWhatIRun. Bookmark the permalink. Love it — LOVEEE IT! 🙂 Happy birthday! Yey! We are almost there! Happy Birthday! Same thing happened with me…8 miles to run, eh, stopped at 6. I felt good and I know I have done the training! We’ve got this! Thanks Sue! We’ve SO got this! See you at MCM! Good luck! Happy Birthday and don’t listen to ANYONE that says you’re going to fall apart! 😉 This is the best decade ever! !